In 2nd ODI against South Africa at Durban, Sarfraz Ahmed used racist language to taunt all-rounder Andile Phehlukwayo, who starred in the home side’s win. New Delhi: Pakistan cricket captain Sarfraz Ahmed racially abused South Africa all-rounder Andile Phehlukwayo during the second ODI between the two countries in Durban Tuesday. Phehlukwayo had starred with ball and bat, taking four wickets and scoring a half-century as the home side defeated Pakistan to level the series. As soon as Ahmed was heard making these comments, South African commentator Mike Haysman caught on and asked his co-commentator, former Pakistani batsman Ramiz Raja, for translation. Presumably embarrassed, Raja laughed nervously and said it was “difficult really to translate” as it was a “very long sentence”. However, Akhtar later deleted his Twitter post. 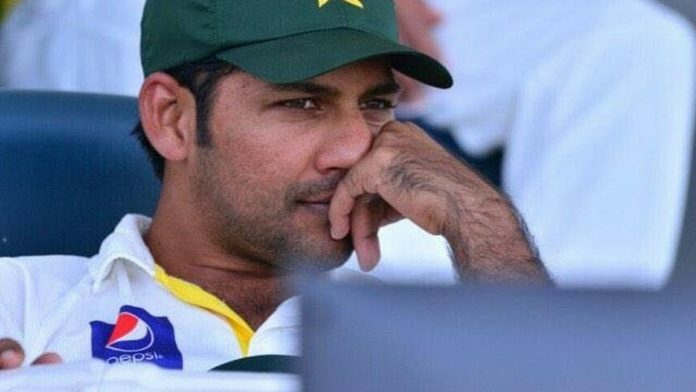 Senior cricket journalist Osman Samiuddin called it “pathetic and racist”, while many social media users from Pakistan hit out at Ahmed for his remarks. Ahmed hasn’t issued an apology or a statement retracting his remarks. The International Cricket Council (ICC) hasn’t yet taken note of the matter, but it could come down hard on Ahmed. The ICC Anti-Racism Policy for International Cricket, which has been in effect since 1 October 2012, states that no “inappropriate racist conduct” will be tolerated. The offence can be reported by anyone from the match officials to players to even the ICC chief executive. An offence under the Anti-Racism Code for Participants is defined as “engaging in any conduct (whether through the use of language, gestures or otherwise) which is likely to offend, insult, humiliate, intimidate, threaten, disparage or vilify any reasonable person in the position of a Player, Player Support Personnel, Umpire, Match Referee, Umpire Support Personnel or any other person (including a spectator) on the basis of their race, religion, culture, colour, descent, national or ethnic origin”. The maximum punishment under the code for a first offence is eight suspension points. This means the player can be banned for a number of matches — each Test match is worth two suspension points, while each ODI and T20I are worth one each.